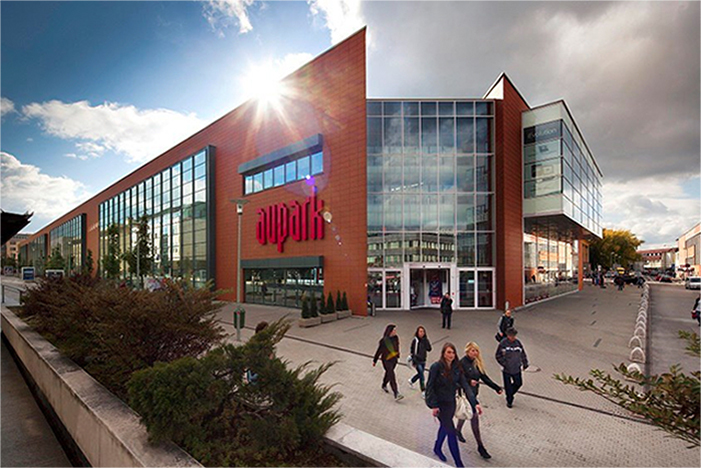 Aupark in Žilina brought to the administrative, economic and cultural center of northwest Slovakia 24,000 sqm of lettable and almost 2,000 sqm of office space. The modern shopping-entertainment center of the city-type offers more than 120 facilities, with more than 850 parking spaces in the parking lot, with around 600 employees. The most prominent tenants include H & M, Mango, C & A, Guess, New Yorker, CCC, fast-food Subway, Gusto and Fresh & Tasty, Bubbleology, Fruitisimo, Billa supermarket, Datart, Panta Rhei. The offer includes sports outlets, banks, telecommunication companies, florists, hairdressers, fast-food, travel agencies, post offices, drugstores and pharmacy. NEPI Rockacstle is a listed real estate business established in 2007. At present, it has capital exceeding € 900 million. The Group focuses on investing in dominant or potentially dominant retail assets, but also invests in office and industrial property on a suitable occasion. The investment strategy focuses on long-term leases in euros supported by strong corporate contracts. The Group is managed from the inside, integrating real estate and asset management as well as investment and development capabilities. The operator is AUPARK Žilina SC a.s. Manager of the mall is Mgr. Helena Samsonová, opening hours: 7:00 - 21:00 through the work days and weekends.